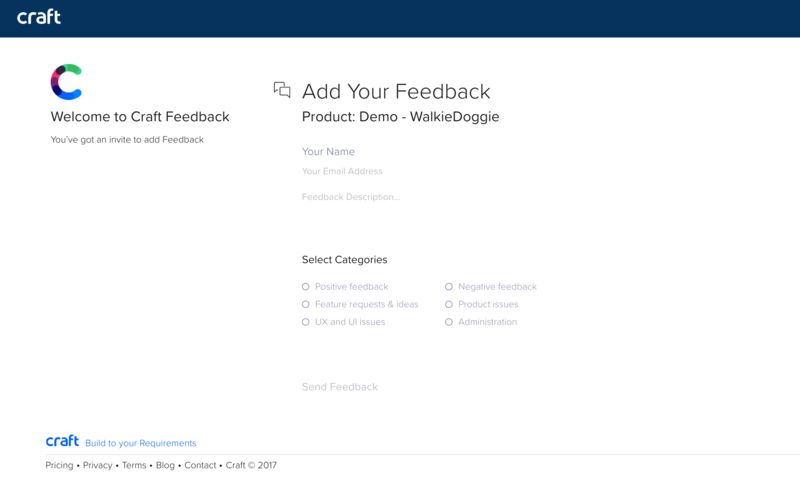 Using Craft you have an option to provide your users and stakeholders to add feedback about your product. Once opening the link, the users will see a simple feedback form where they can add their feedback. All the fields in the form are mandatory, to make sure that you will get a quality feedback. The listed categories in the form are the feedback categories that were defined in your product. After the feedback is sent, it will appear in the General subcategory in the selected categories from the Feedback form.